Teleporters that work with the experience points of our character. XPTeleporters 1.7.10 is a mod that lets you create teleporters to move across large distances without having to walk them. To do so we will only have to place two “XP Teleporter” and connect each with a “XPT Link Card”. Once connected, we just ride on one of the two teleporters and press “Shift” to travel to the other point immediately. These instant trips are not free in the game, as each of these instantaneous travel experience cost us some points. The cost of experience will depend on the distance, that means that the further are the two posts of teleportation, the more experience will cost us this trip. However the maximum limit on the cost of experience is 30 points. 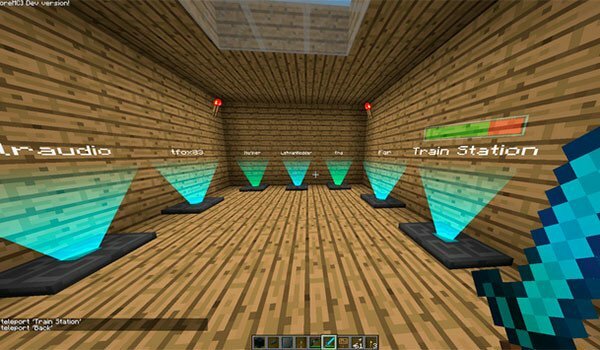 How to install XPTeleporters Mod for Minecraft 1.7.10? Double click the Forge downloaded file to run the installer. Paste the “FTBLib” downloaded file inside .minecarft / mods folder. Paste the mod downloaded inside .minecarft / mods folder. Take advantage of your experience points and travel instantly!